Security Expert Of Cloud Flare Observed DDos Attack By "Exploiting Mobile Ad Network"
Unfortunately, this kind of DDoS attack is being popular in the hacking community, in April security researchers from the University of California at Berkeley and the University of Toronto have discovered a powerful weapon of the Chinese Government cyber arsenal, dubbed the Great Cannon, used to hit websites with powerful DDoS attacks. The Great Cannon has been used by Chinese authorities to knock-out two anti-censorship GitHub pages and it can be also used as a hacking tool to silently install malware on the targeted machine. Another similar DDoS attack was unveil last week, experts at Imgur discovered that a vulnerability in the platform was exploited by attackers to target the imageboards 4chan and 8chan. 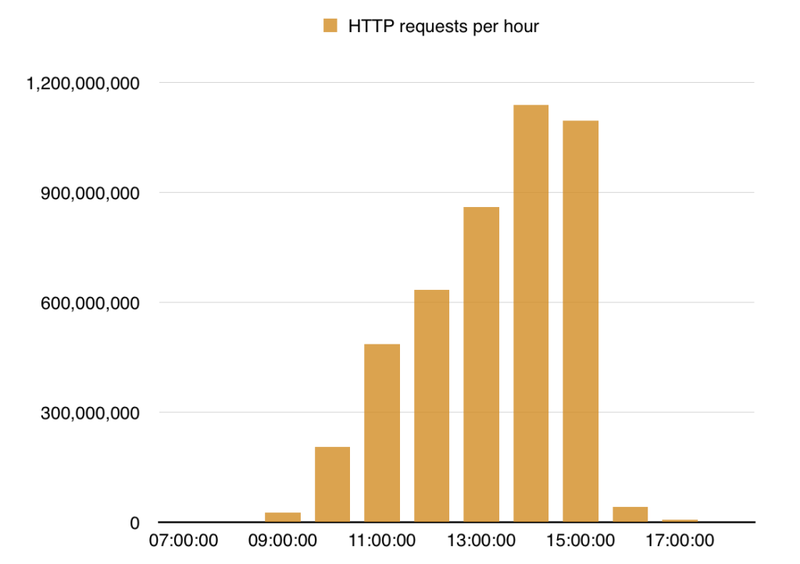 Now, CloudFlare noticed a large number of HTTP requests addressing one of its customer’s website, the DDoS attack peaked at over 1 billion requests per hour. The experts observed a total of 4.5 billion requests reaching the content delivery network’s servers on the day of the attack. The overall number of unique IP addresses originating the requests is 650,000, 99.8 percent these are from China. Experts at CloudFlare said,nearly 80 percent of the requests were from mobile devices. CloudFlare researchers excluded that the DDoS attack was conducted by injecting TCP packets like observing in the DDoS attack conducted by the Great Cannon.